The Shopping Channel has a Flash Sale on now! 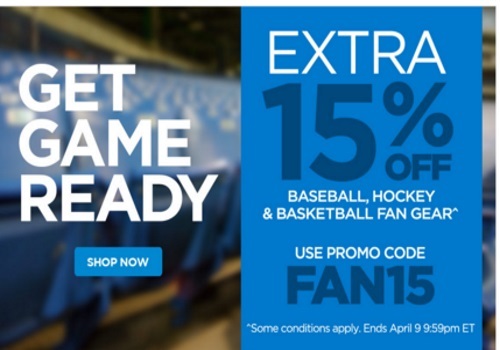 Save an extra 15% Off Baseball, Hockey & Basketball Fan Gear! Enter the promo code FAN15 at checkout. Offer ends April 9, 2016 at 9:59pm ET.